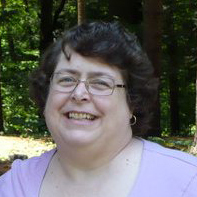 Mary Furber is a native of New Milford, Connecticut, and currently resides in Portsmouth, New Hampshire. She has been working with fabric since she was a child, and has experience in quilting, quilt pattern design, embroidery, penny rugs, rug hooking, crocheting, clothing construction and folk painting. She has been teaching crafts for three decades to both children and adults. After working as a computer programmer for many years, she owned Little Lamb Quilt Shop in Barrington, New Hampshire for seven years. She now teaches around the area and is able to spend more time designing.